This upcoming weekend is the day of horses,big hats and mint juleps at the Kentucky Derby and hundreds of similar parties if you can't go to Kentucky! 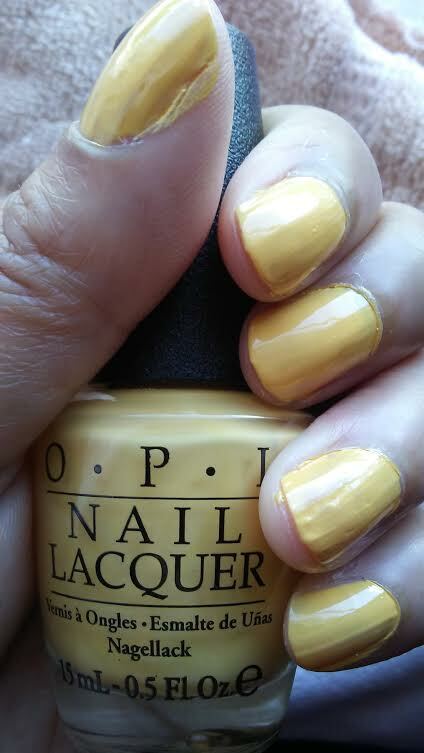 I was lucky to get this OPI Washington DC nail polish inspired by Kerry Washington and SCANDAL for under $2 at a local salon in honey mustard yellow called "Never a Dulles Moment"!! 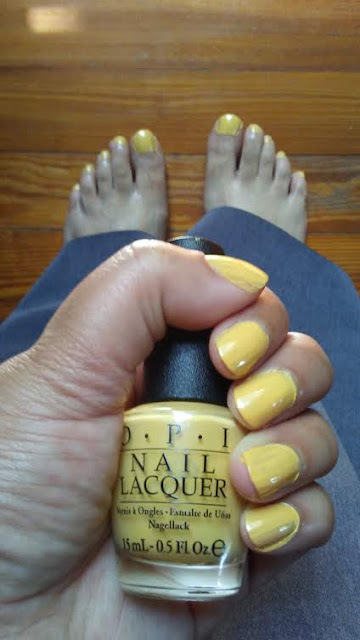 I have applied one coat to each of my nails for my mani and pedi above and below pictures! 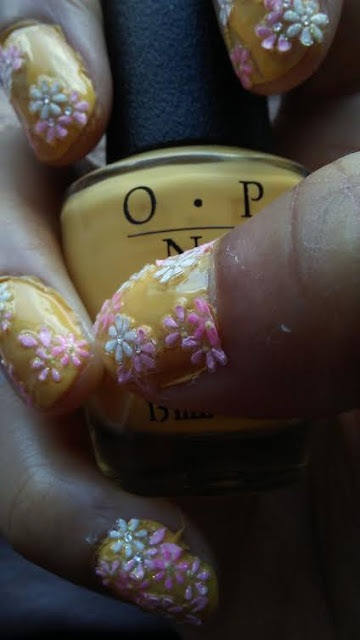 Above picture I applied some old nail stickers in pink and white daisies on my nails and then applied with clear coat! As always my left hand mani always looks better than my right hand mani below!! I love this mellow yellow which reminds me of "honey mustard" that I love on chicken tenders and salads on my nails and using nail art for this floral Derby Day nails!! Perfect for nails for the first weekend of May at the races! 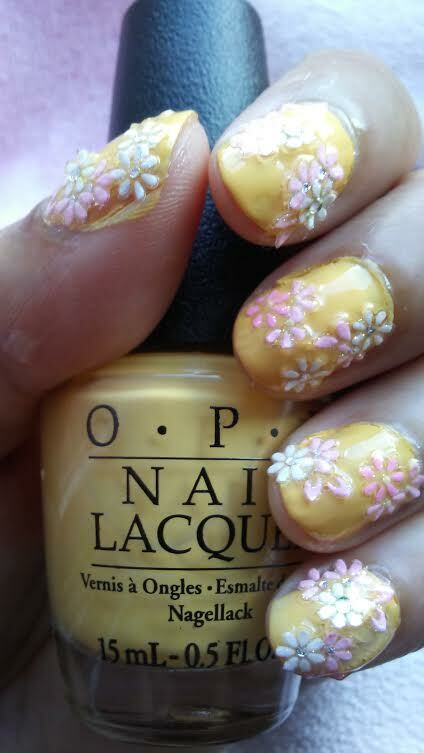 Those are super cute nail stickers- totally transforms the yellow!